Frank T. Aiello is a partner with Michigan-based Shea Aiello. He has been named a Super Lawyer by Thomson Reuters for his professional achievements in Business Litigation. The high-profile attorney rating system honors the nation’s top attorneys annually. Mr. Aiello is a nationally recognized litigator who has specialized in litigation his entire career. He has served as lead counsel in more than 70 jury trials, and has won many multi-million dollar trial verdicts and settlements. Early in his career, Mr. Aiello practiced products liability law with the Kitch defense firm. 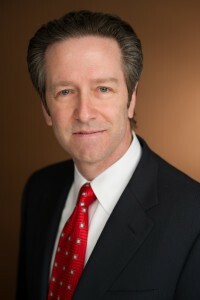 Later, he joined Sommers-Schwartz, where he represented plaintiffs in the areas of medical negligence and automobile negligence. Mr. Aiello founded Ellias & Aiello in 2003 where he led a team of litigators specializing in the areas of medical negligence and automobile negligence. Serving as lead litigator and managing partner, he grew the law firm into one of the most respected boutique law firms in SE Michigan. In 2007, he merged his practice with long-time friend David Shea, creating the Shea Aiello firm. His current scope of practice incorporates commercial litigation and tort litigation. Mr. Aiello’s highly-specialized experience and expertise in the litigation arena has helped clients throughout Michigan and across the nation. Mr. Aiello has earned an AV rating through Martindale-Hubbell—the highest level of professional excellence attainable— for both his legal ability and high ethical standards. Over the last 30 years, he has been recognized multiple times in Michigan Lawyers Weekly’s Million Dollar Verdicts & Settlements. He has been honored for several consecutive years as both a Michigan SuperLawyer and a Michigan TopLawyer. He is a member of the Michigan Association for Justice, and is a Case Evaluator for Wayne County Case Evaluation. Mr. Aiello earned his undergraduate degree in political science from the University of Michigan and is a 1988 graduate of Wayne State University Law School.